Movie buffs have a chance to catch their favourite films on the various beaches here during the five days of the International Film Festival of India (IFFI), which begins tomorrow. Beach screening of the movies during IFFI, was introduced in 2004 when festival travelled to Goa but it was discontinued later. The festival organisers are restarting it this year. Manoj Srivastava, Chief Executive Officer of Entertainment Society of Goa, organiser of the festival, told reporters that the beach screenings would be held between November 24-28. "Films would be screened on a huge screen that is installed on the beaches. The screenings are free," Srivastava said. More than 10,000 people expected to turn up, said Srivastava, adding that they have identified 10 places for the screenings. The festival is also planning to organise concerts on the beaches. When IFFI travelled to Goa from Delhi in the year 2004, the beach screenings were a big attraction. 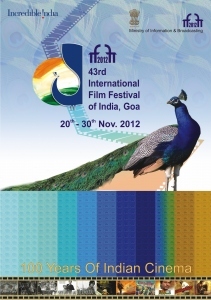 This year's screenings are part of the peripheral activities planned by IFFI organisers. The 11-day long festival will be inaugurated tomorrow by filmstar Akshay Kumar.